In our practice, we like to put our patients first. It even says so in our mission statement. One of the many ways we put our patients first is by giving them options for how they can achieve the smile they have always wanted, or in many cases, very definitely needed. We can do traditional orthodontic treatment with braces. In those cases, we have two options for the type of braces a patient will wear. The first option is metal braces made of high quality stainless steel. This is the type of appliance that everyone usually pictures what they think of braces. 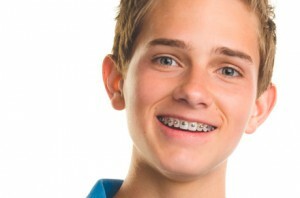 Our metal brackets are small and comfortable, and our patients can choose colored ties that go around the braces. 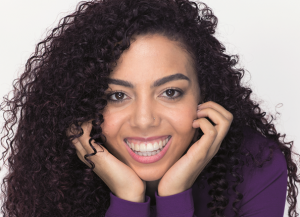 The second option is the latest clear ceramic braces, called Clarity Advanced. They blend in so well with the teeth that you hardly know that they are there. Unless, of course, you want to have colors on your clear braces, which also looks pretty cool. These high tech braces do not stain and are also very comfortable to wear. The third option is Invisalign, a series of clear plastic aligners that can straighten your teeth. Everyone has probably seen the commercials and ads for Invisalign. The aligners are made of a thin, clear plastic that is very comfortable to wear, very unobtrusive, and are very “stealthy”. Invisalign is definitely the least noticeable option for straightening your teeth. Because they are removable, it’s also the option that is easiest for cleaning your teeth. The only change in what you do now is brushing your aligners when you brush your teeth. While we do offer all of theses options, not all of them may be appropriate for every case. The most important factor is what type of treatment will produce the best final result for each patient. Invisalign is not the best option in some cases because it does not treat certain problems as well as braces. Clear braces are not appropriate in certain situations because they are harder than the enamel on your teeth, and can damage the enamel. But these limitations only apply to a small percentage of patients. 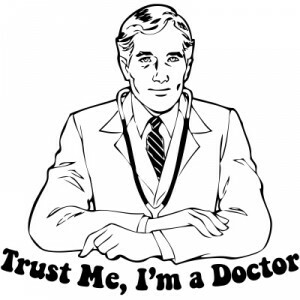 Our philosophy in our practice is to always do what is best for the patient. 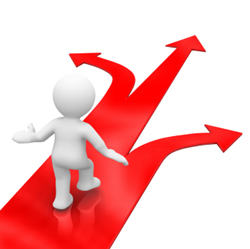 Giving our patients options for the type of treatment and appliance they will have is doing “what is best for the patient”, so that is why we give our patients choices.